General Motors said it will unveil plans for the future of its Technical Center in suburban Detroit on Thursday. 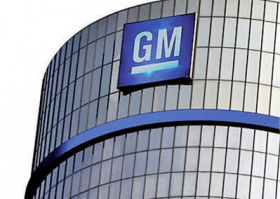 GM did not immediately provide further details, but the automaker likely will confirm long-expected plans for a major investment in expansion and renovations at the Technical Center in Warren, Mich. The sprawling campus north of Detroit long has been GM’s nerve center for product and technology r&d. In February, GM requested tax abatements from the City of Warren for a $419.4 million expansion and renovation of the center. The automaker expects the project to add 2,600 jobs while retaining the existing 3,860 jobs. The project appears to be on track, as the City Council approved the tax abatements in April. “This approval from Warren City Council is a very important piece of developing a business plan to bring to senior management,” GM spokesman Dan Flores said. Also last month, Warren Mayor James Fouts announced that an anonymous business was planning a $1 billion investment in the city. GM would not confirm whether that is related to the plans for the Tech Center. Set to be in attendance at Thursday’s announcement are GM Executive Vice President Mark Reuss, Fouts, Michigan Gov. Rick Snyder and Macomb County Executive Mark Hackel.